Main Book colt, Lord Abraxas with Approved Dam Mosie Elan. The Main Book is the category of registration that Improvement, Approved Cross, "E", and in some cases, Heritage, horses contribute to. ASHDA pedigreed horses with a qualifying draft percentage of over 50%, and with no disallowed traits such as positive genetic defects or excessive pinto traits, are given permanent registry number, proceeded by "#", and listed here in the Main Book. Horses from two registered parents that exhibit disallowed traits are granted registration numbers proceeded by an "N" and are not allowed breeding rights. This section of the registry is intended to make up the bulk of our numbers, and is designated by blue papers. Main Book horses with an "#" designation have full breeding and showing rights and are, alongside "E" designation horses, are the main section of the registry's genetic pool. Main Book stallion, Tyrion Twist. 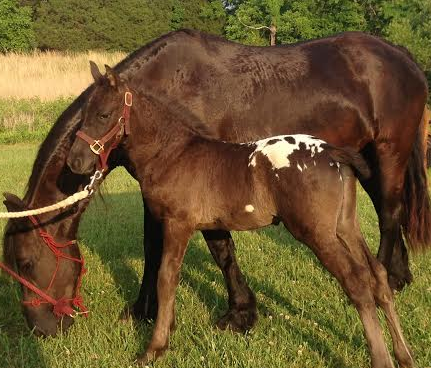 Owned by Trinity Appaloosa Farm. Horses going into the Main Book are considered a generation towards the ideal. In order to get Main Book registration, both parents must be either registered or approved with ASHDA and the horse itself, or both parents, must be tested free of genetic defects and have no disallowed white. 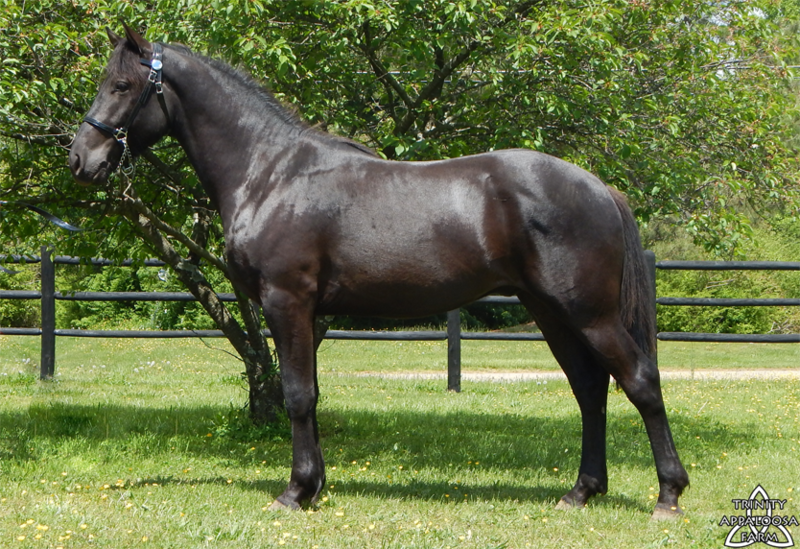 Horses that would otherwise qualify but are positive for a genetic flaw such as PSSM1, for example, or have white surpassing allowances are given non-breeding papers. 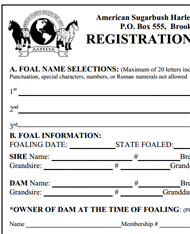 Horses with non-breeding papers may still compete in ASHDA sponsored competitions and otherwise have full registry rights, but cannot produce registerable offspring. Any draft percentages from 50%+ all the way up to full draft horses can be found in the Main Book. Foals from a registered ASHDA parent that are less than 50% draft qualify for our Heritage books.